Here we have the designs created by G&N Quality Design especially for Feed a smile. All proceeds of these outfits go to feed a smile where the money shall be used for meals for the school children in Kenya. 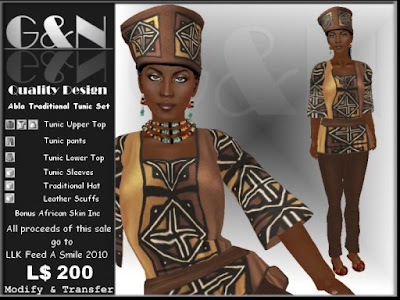 The skins come with these outfits to add the finishing touches to the African themed designs. 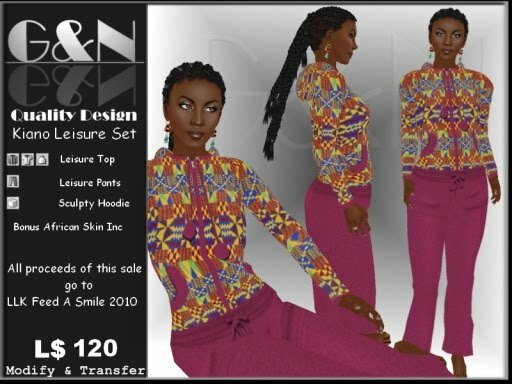 This Abla tunic set shall make you feel like an African Queen. Feed a Smile Exclusive Gown 2010 which comes with a beautiful flowing skirt, floral wreath for your hair and arm cuffs. 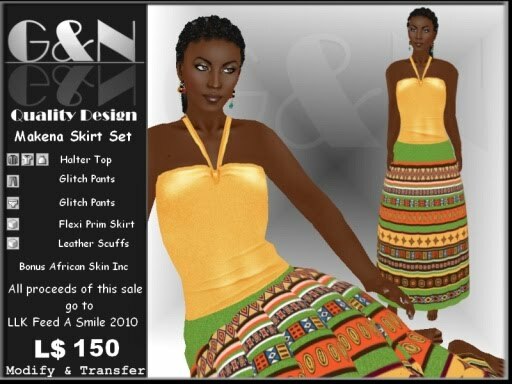 Should you wish to wear this as a straightline skirt you may. This is a one off gown and the winner will have this exclusively.